Often we get clients interested in redesigning a website and what most draws our attention is that the frequency in recent years has declined. That is, companies renew their websites every few minutes. The reasons in most cases are only aesthetic, but it is true that there are also those who demand more functionality in order to offer a better user experience to their potential clients. That’s why I’ve decided to tell you about the ones I think are the 20 points to keep in mind before redesigning a website today. When it comes to renewing a website one of the most important points and that must be totally clear are the reasons or the reasons why this renewal is going to take place. Not only should we look at how beautiful the new website is going to be, but we must be clear that if we change it, it has to be more effective, both in improving the user experience of web visitors and in improving Performance of the web itself in order to increase the results of the company itself. It is advisable to sit down and think about what the change will mean, both for the user and the owner of the website. Take time to reflect on change and not be impulsive in this regard, because change without good planning can be completely counterproductive. It is rare that a website has only flaws, and in almost all cases we can find strengths that make the current website work at least correctly. In that case we must analyze if the change that we are going to make in the web is entire, with a radical change in the level of design and functionality or if on the contrary we are going to maintain some of the aspects that work well in the present web. It is undoubtedly one of the most important factors within the 20 points to take into account before redesigning a web since it means following the same style line or change it completely. 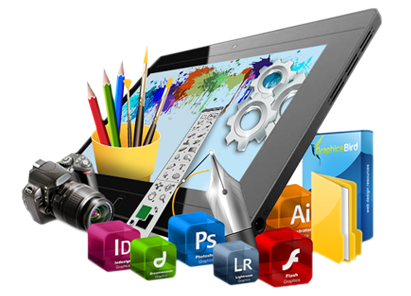 Obviously here also plays an important role having budget to carry out a complete change or minor changes in the web. This is very easy to identify and we should only make a list about the points of the current website that we know to work and that we also like to incorporate them into the new website that we are going to develop. Within this same point we have to take into account if the change of the web also implies a change in the corporate identity of the company, because perhaps if we carry out an integral change in the design of the brand we can confuse the users who visited us before and now when they do it will be to find something completely different. This point is similar to point 3, but in this case we must identify all those elements that we know do not work in order to forget them and not integrate them into the design of the new web page. And keep them in mind. It is not worth to make a very nice or very risky design without taking into account the users and even worse, without taking into account to your target audience. This is almost always an error. You have to keep in mind to your users and to know how they will react to your new web page layout. Don’t forget that your response to your new website will decide whether or not your new website is more effective than the previous one. I know this is complicated. That is, most customers tell you that they like elements from several pages and in many cases these elements are incompatible with each other. Now, the style line should be clear. If you want to bet on a new trend, if you want a more classic line, etc. And obviously these decisions, as I said before should be linked not only at the aesthetic level but also at the functional level. This is another of the most remarkable points within the 20 points to consider before redesigning a website. This is very obvious, but there are many who completely forget about it. It is interesting to analyze the competition to know how it works, what works for them, because it bet design, etc. Often the pages of the same sector tend to look like a lot, and it is good to study the competition to try to highlight somehow in the face of drawing the attention of users and potential customers. This is very important. To date, almost 60% of the overall traffic of any web page is achieved through mobile devices. And that has to be taken into account because maybe we are interested in betting on a mobile web design, then expand to desktop version instead of reverse, which has been the habitual thing very recently. Not worth us with a web to be responsive, it must offer the elements that most interest us in each type of device. This seems silly now that the bandwidths have increased so much, but it is not. If your target audience has not yet accessed at great speeds you will have to take it into account in order to know what elements you should avoid in your new web page. Maybe analyze this aspect makes you bet for much lighter designs. This looks like another obvious but it is not. There are many clients who do not really know what they want to highlight on their website, and if you are a web designer, it is up to you to advise them in the face of what points are interesting to re-mark. 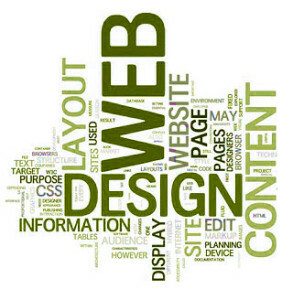 The user experience and usability are the most important points today when designing a web page. We must be very clear that we must make it very easy for the user who enters our website and think about how he wants to access the contents. Given this point, we will have many livestock with our design. This is another of the most remarkable points within the 20 points to consider before redesigning a website. Focusing on the needs of the customer is vital before redesigning a website. We have already made it very clear in the previous point. We must know if the user that enters our website is interested in obtaining information, and if so, what type of information is looking for. If we talk about an online store, we must be clear that the clearer we put it to the user, the more sales we can get. Hide the products and hide them within categories that are within other categories and forcing the user to have to make several clicks to reach them will always be a mistake. Increasing the interaction of users with our website is always good. For this we can always use a blog where we invite to participate and to think about the articles that we can write on it. But the blog is not the only tool that can help us increase the interaction of our website. We can also use forums, polls, games, contests. In this way, we will also be very loyal to the users who access our website. This is very important. There must be clear if it will be self who update their website or on the contrary if you are going to hire a webmaster or service with a company that takes the web maintenance. Being clear about this will help us determine how we will develop the website and whether we will need a management panel for this or not. This point is very linked to the previous one since in most cases, the client or the owner of the web shows interest in managing your website. In these cases, we always tend to bet on systems such as WordPress, which are very easy to manage and can also offer other very interesting advantages. We must have it very clear before redesigning a website. Now, if our website is going to offer very specific functionalities we will always recommend developing this web project from scratch, programming both the front end and the back end to have total control over the operation of the web page itself and its future improvements. Every time we design a website we must keep in mind all SEO aspects. It is possible that the current web is not very friendly with SEO and is one of the aspects that we should improve or with the new website that we design. In addition, every time we renew a web we have to attend to the rankings of their current positions on the search results to take into account the structure of the web itself in order to keep the parts that interest us as long as these are not going to have a negative impact on the positions of those search results. Another important point is not to eliminate urls that are linked in external pages and that with the change of web, do not lead anywhere, because we will be losing traffic and obviously, we will lower in our SEO level. The last thing we want with the renewal of our website is to lose the positioning that we had already won. This sometimes is not simple, but we have to do formless on the most looked search criteria and be able to implement in the design of our new webpage. This is a job that requires a lot of analysis and dedication, but it is vital for our website to start with an impeccable onpage positioning. This is analytical work. We must identify which are our most visited sections and take care of them with regard to the design of the new web page. It is very important not to make radical changes in these sections, because if we know that these are much visited and that these works for us, changes have to be very well studied. Without a doubt, one of the most important points within the 20 points to consider before redesigning a website. As in the last two points, this is an analytical work where we will have to determine which urls we will keep in our new web page. Maybe we should keep all if we have few, and if we have many, we will have to analyze which ones are interested in and which are not. This is the most important point of all. When changing a web page we must be completely convinced and have no doubt, because when the change is made there will be no turning back. That’s why we recommend reading all the previous points and be very clear about the change.